Creature spells can't be cast. 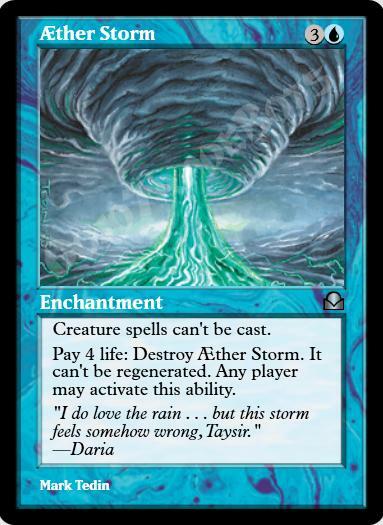 Pay 4 life; Destroy Aether Storm. It can't be regenerated. Any player may activate this ability.